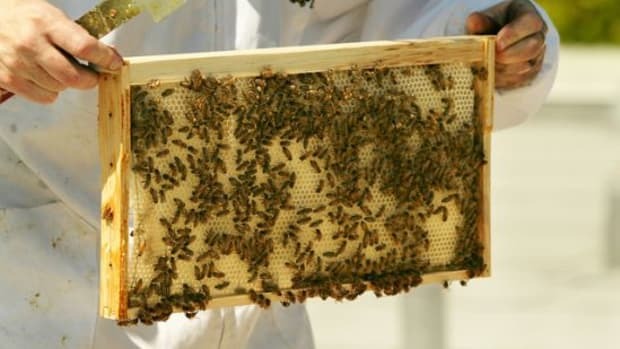 Beekeeping has enjoyed a resurgence in recent years. Since the advent of Colony Collapse Disorder, really. Concerned, conscious consumers made note, researched the issue, and took personal steps to help combat it. Some people stopped buying imported honey and switched to local, organic varieties, while other individuals donated money to institutions and universities delving into CCD research. Some people actually took up modern, natural beekeeping. One undying, frustrating question non-beekeepers pose: "So, where are you going to put the hive?" "Coach" Mark Smallwood, Executive Director of the Rodale Institute, has solved that problem for those living in the Philadelphia area. Smallwood knows most everything to know about natural beekeeping. His professional background concerns environmental sustainability and organic farming, areas that naturally complement his beekeeping interests. We recently spoke with Smallwood and asked him about beekeeping in urban and suburban settings, how traveling can hamper bees&apos; immune systems, and how Rodale aims to train new beekeepers. Organic Authority: Can you give us a little bee history and explain what&apos;s currently going on with colony collapse disorder? Smallwood: There were over 7 million beekeepers in the United States. Now there&apos;s less than 2 million. I try to use the analogy of New York City because the numbers are similar. Imagine that the population in New York went from 8 million to 2 million. What would New York City look like? That&apos;s what the beekeeping population looks like now. The practice of beekeeping has become industrialized just like much of our food products have. The bees&apos; immune systems have been hampered. They are just not healthy. So, back in the &apos;70s, &apos;80s, &apos;90s and into the next century, you would go out to look at your hives in the spring to inspect them after winter. 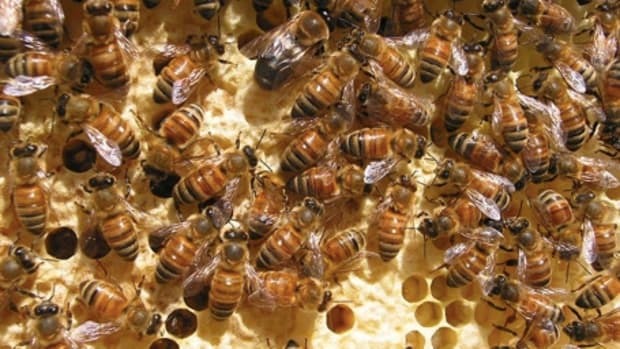 Up to 90 percent of the hives could be just completely dead. A normal hive with three supers on them, three boxes, so to speak, would have about 60,000 bees. So, beekeepers would come out, if they had 100 hives, 30, 40, 50 -- up to 90 percent of that would have 60,000 dead bees. So they&apos;d have to re-hive those hive bodies. That became pretty much a normal practice. 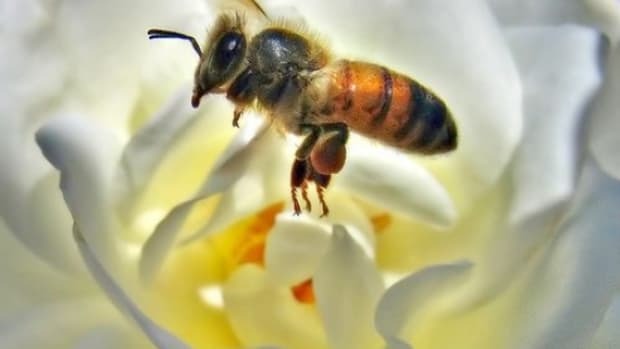 Then about four years ago, maybe five years ago now, beekeepers went out to look at their hives in the spring and they&apos;d open them up and there weren&apos;t 60,000 dead bees, but just no bees. They were gone. That is what they&apos;re calling the colony collapse disorder. They still do not have an answer for that. They don&apos;t know why this is happening, and it is still happening. So, there&apos;s research being done on it, but there&apos;s no definitive answer at this point. It&apos;s still a head scratcher. So, what&apos;s important now? Because of the development that&apos;s gone on across the country, there aren&apos;t very many wild hives left anymore. There&apos;s just no space for them. The bee needs the beekeeper. That&apos;s why we&apos;ve decided to have a bee conservancy here. We have eliminated any issues with where your hive is going to be because we will [let you] use our farm here at the Rodale Institute to host your hive. Let&apos;s say you live in Philadelphia and there is no place to put a hive, or you live in a development that has a home owners association that won&apos;t allow bees, you can have a hive here, and visit it once a month to take care of it and gather your honey and so on. 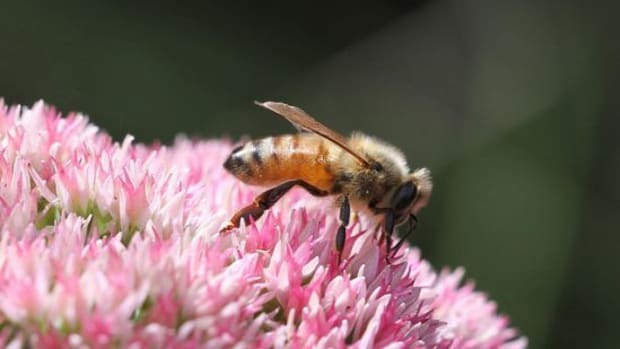 OA: Is there any difference raising bees in an urban vs. suburban setting? S: In terms of how can we do this in an urban setting, three years ago, we helped start a group in Baltimore City called Baltimore Honey. They&apos;ve started a CSA. The people in Baltimore host a hive. The first year we put at least one hive in all 27 zip codes in Baltimore City. That has grown to 66 hives now, and this last year they won five blue ribbons at the state fair with honey from the city. That&apos;s the sort of model we want to use, and we would like to repeat that in other cities. I think Philadelphia would be next for us, Philadelphia would be a sister city. I&apos;ve also had my own hives in suburban settings, and I gave honey to my neighbors all the time. And of course they would come over and say, &apos;where&apos;s the hive?&apos; They didn&apos;t even know where it was. So you can do it to where they don&apos;t even know the bees are there. There are no issues in a suburban setting either, unless, like I said earlier, you&apos;ve got a homeowners association that won&apos;t allow them. OA: Are there any new institutes or universities that are researching CCD considering the problem still persists? S: Yes, Penn State is probably taking the lead in terms of research, but again there&apos;s no definitive answer to it. Nobody has come up with the publication that says yes this is what&apos;s happening. And there&apos;s all kinds of theories out there. Is it cell towers or pesticides or is it a combination of everything. Now, one theory, and it&apos;s a little abstract. A beekeeper named Gunther Hauk. 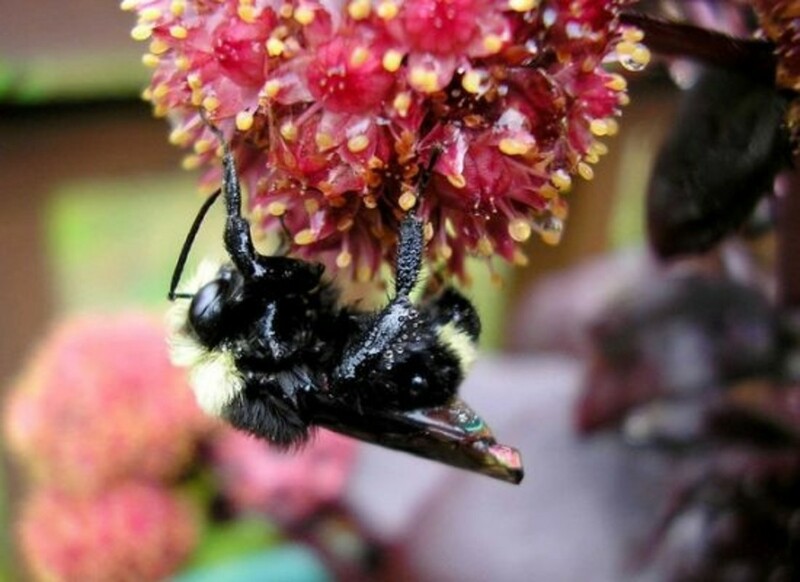 He has a bee sanctuary down in Floyd, Virginia, called Spikenard. He is my mentor. He taught me beekeeping. I said, &apos;what do you think is going on?&apos; and he said, &apos;well, it&apos;s kind of like children who are abused. You know, they come home and they get abused one way or the other. It doesn&apos;t really matter what kind of abuse it is, whether it&apos;s verbal or physical, eventually, they just don&apos;t come back home.&apos; That&apos;s how he views the issue. And the bees themselves are being abused through this industrial method. 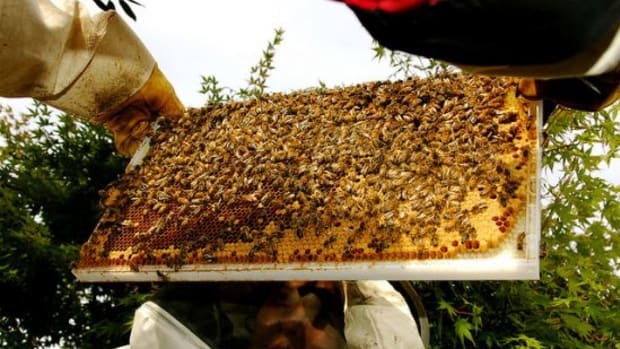 There are beekeepers who have tens of thousands of hives. They ship them all over the country and it&apos;s just not healthy for the bees. So their immune systems have become compromised because they become more susceptible to the verola mite, and they just aren&apos;t healthy. OA: So these stories I&apos;ve been hearing lately about people carting bees across the country to help pollinate almond crops or other fields. I assume that&apos;s not healthy for the bees? Is it just helping the problem along? S: They use almonds all the time for the benchmark for this practice. The better way to do it would be for the almond grower to have his own hive bodies. Trucking these animals around, it&apos;s the same as any other animal. 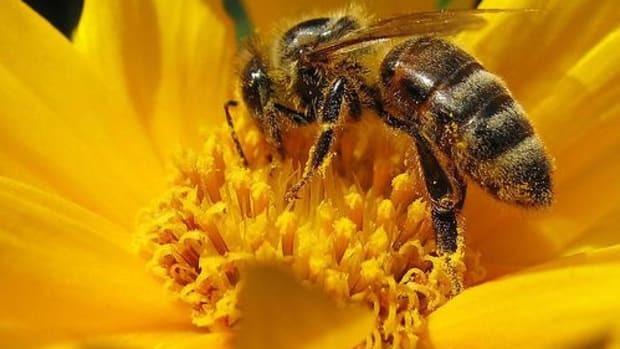 Put them in a truck and drive them all over the country -- it&apos;s definitely one of the causes of the health issues of the bee, and this is the industrialization that I&apos;m talking about. OA: So, for people who don&apos;t know how to keep bees. I assume it&apos;s not smart for someone to jump into the practice and not understand it. Do you think more places will end up providing courses to teach people? S: We&apos;re trying to train folks to become trainers on purpose. We do keep bees a little differently than the way they do conventionally. We are treatment free, we don&apos;t use smoke. If I got my smoker going and I stuck it in your face and let that smoke blow up your nose… it just doesn&apos;t work. It&apos;s the same for the bees. We clog up their sense of smell, we clog up their respiratory system. It takes about 10 days for them to recover. They have 170 receptors for scent. And that&apos;s how they find nectar. And so, treatment free, no smoke. 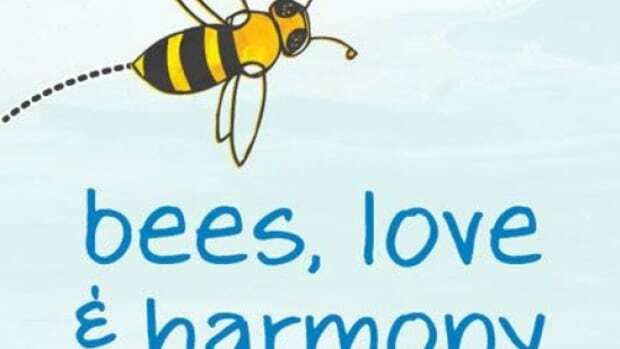 So, we treat the bees humanely just like we would any other animal that we are raising. Also, September is honey month. And that&apos;s when everyone thinks, &apos;oh, it&apos;s honey month. Let&apos;s go in our hives and take honey.&apos; And that&apos;s the worst time of year to take honey. July should be honey month. That gives the bees enough time to go forage and bring their supply of honey for the winter back up to speed. If you take it out in September, the forage is just about gone. 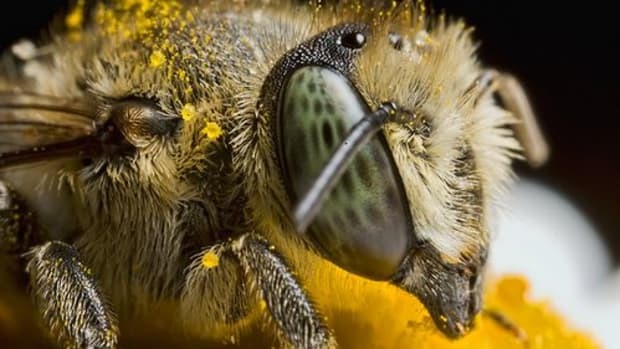 The nectar flow is over and they they don&apos;t have time to get enough honey, and they starve. OA: Is there anything else you&apos;d like to add? S: I would like to add that we are introducing a new hybrid hive on April 28 when we do our grand opening here at our conservatory. This is a hive that nobody in the world has seen yet. It&apos;s called a Thomas Hybrid Hive. It&apos;s actually a combination of two different hives. It&apos;s very convenient for the beekeeper because it does have frames like the normal Langstroth hive has. But we also utilized a top bar or a Kenyan hive, which is the best for the bees. So it&apos;s really the best of both worlds. It&apos;s good for the beekeeper, it&apos;s also good for the bees.